Over the last 30 years, David Cronenberg, director of such films as Scanners (1981), Dead Ringers (1988) and A History of Violence (2005), has been called the "King of Venereal Horror" and the "Baron of Blood." But more and more, he's being recognized as something else: a thinking man's filmmaker. 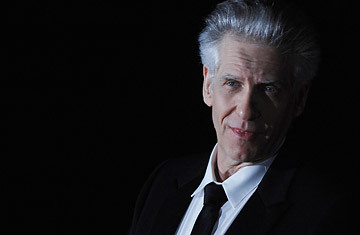 A diehard existentialist, Cronenberg has infused philosophy into his films over the years; some critics even called his 1986 blockbuster The Fly an inspired allegory for the AIDS epidemic. And if anyone still doubted his high-culture credibility, now Cronenberg is tackling the medium of Mozart. From Sept. 7 to 27, the Los Angeles Opera will present the U.S. premiere of The Fly, a stage mutation of Cronenberg's sci-fi horror tale of a renegade scientist whose teleportation experiment goes horribly awry when a fly enters his telepod  composed by Oscar-winner Howard Shore, conducted by celebrated tenor Plácido Domingo, and directed by Cronenberg. The director sat down with TIME's Jeffrey T. Iverson on the eve of The Fly's world premiere in Paris this summer to talk about the hidden complexities of the horror genre, the challenges facing modern opera, his turbulent relationship with Hollywood and the Cronenberg philosophy of life. TIME: Not many people would have pegged your film The Fly as opera material. Back in 1986, did you and Howard Shore imagine one day taking it to the stage? David Cronenberg: When I was making the movie and talking about the music with Howard, I said, "You know, this could be a play"  it's basically three people in one room, a triangle love story. And underneath all the technology and the sci-fi stuff there's a very powerful, scary story of loss, disintegration and decay. Later it became a kind of iconic AIDS story to a lot of people, but when we were thinking of it, it was just about something that happens to everybody, which is aging and ultimately death. So it has this universal potency underneath the sci-fi trappings. I always felt that the horror genre was one in which you could do extreme, intense things that maybe would be a little hard to take if it weren't for the genre protecting you  like a viral coating, but the DNA inside is very potent. [The Fly] was a story that if you did it straight, would never get made. Because it's basically: two eccentric but beautiful people meet each other, fall in love, one of them gets a hideous wasting disease, the other watches and eventually helps him commit suicide  end of story. It's like, hey, high concept? No. But given the telepods and the monstrosity it suddenly becomes acceptable. You've often contrasted your more reflective, subversive type of cinema with Hollywood-style "cinema of comfort." Given opera's tragic tradition, does it seem like a medium where you're less expected to comfort audiences? Well, that's a very interesting point, I mean, the expectations are different. But on the other hand, there is the Mozartian opera which people love  and rightly so  but for its delightfulness. That isn't threatening really, even in the Madame Butterfly way. Did you look to any great tragic operas to draw inspiration for The Fly? I'm not a huge opera buff, but my exposure to classic opera has suggested that the sensibility of that is quite different from what I'm doing. That's not arrogance; it's just a statement of fact. And I think there's a desire in the world of opera to modernize. There's such an appearance these days of modern operas done often by directors who are not versed in classic opera, often film directors. If the art form is to survive and to have new audiences, than there have to be new operas. And they can't have the same sensibility as Don Giovanni  the music is glorious, but the psychology, the supernatural elements, and the narrative are not convincing to a modern audience. I think those are the things we can do  not better, but our contemporary version of.